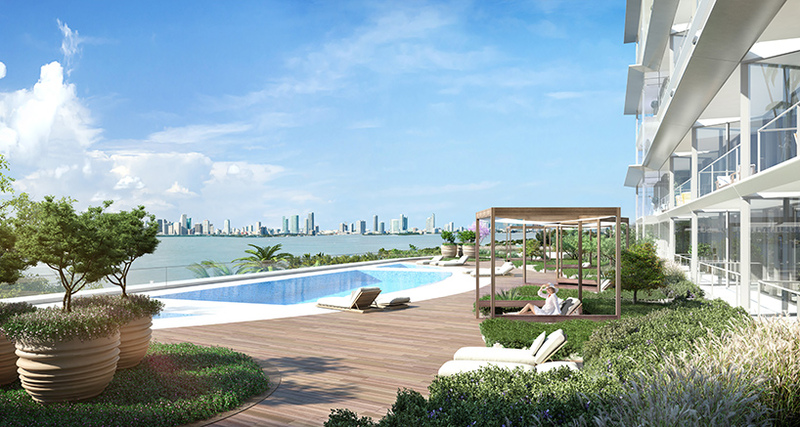 catalan architect ricardo bofill has added his name the long list of acclaimed designers working in the miami region. 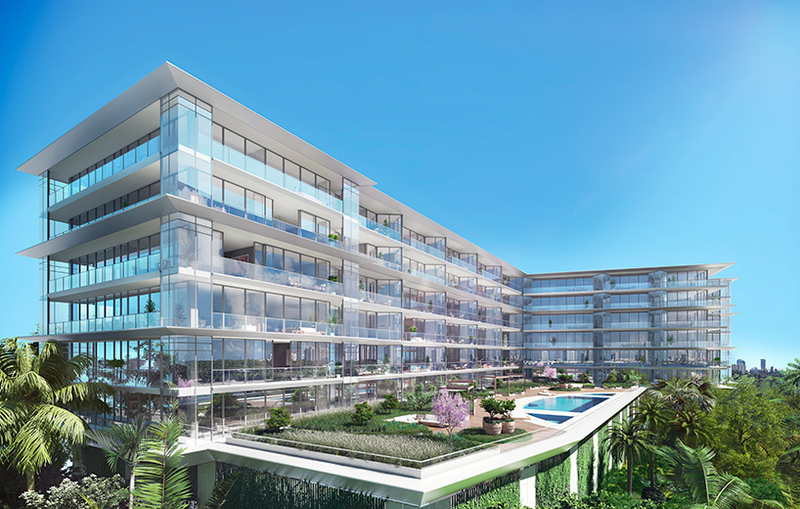 drawing upon the city’s distinct architecture, its proximity to the water, and its natural vegetation, bofill has sought to create an urban oasis comprising 78 luxury residences. 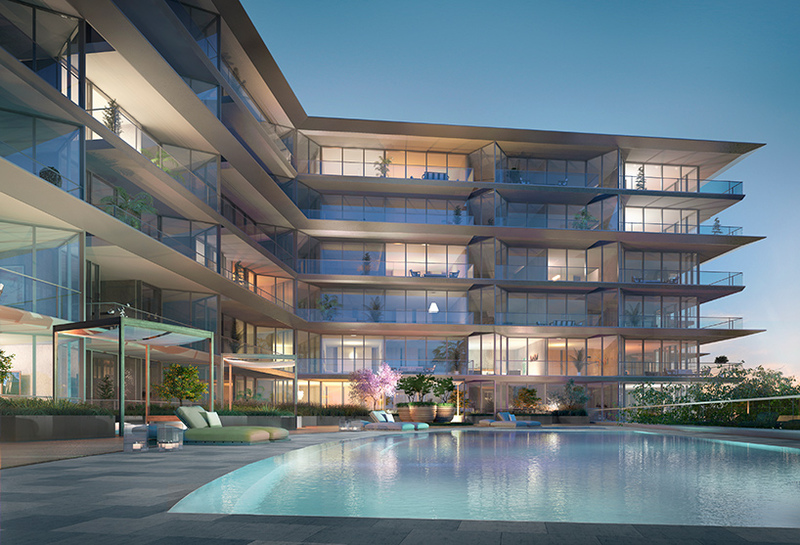 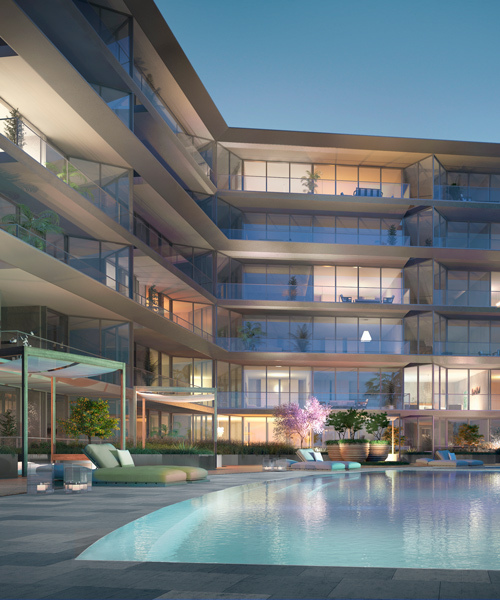 named 3900 alton, the eight-storey scheme synthesizes classical and geometric forms with a wild botanical garden that crawls up the walls of the podium and over the pool deck. 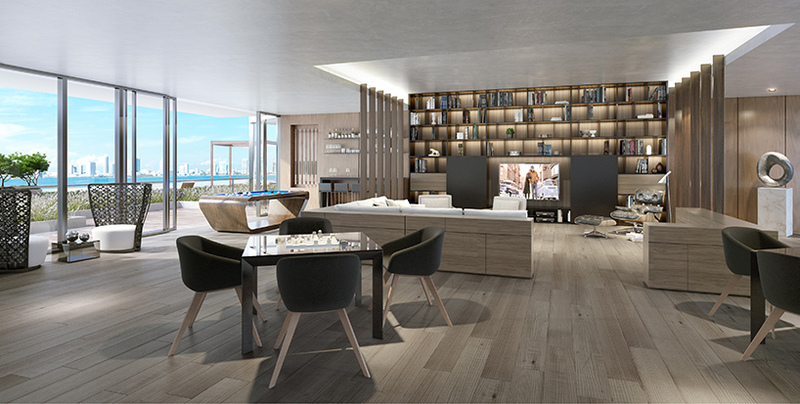 bofill’s studio is also responsible for the building’s interiors, where open-plan living spaces are bathed in natural light. 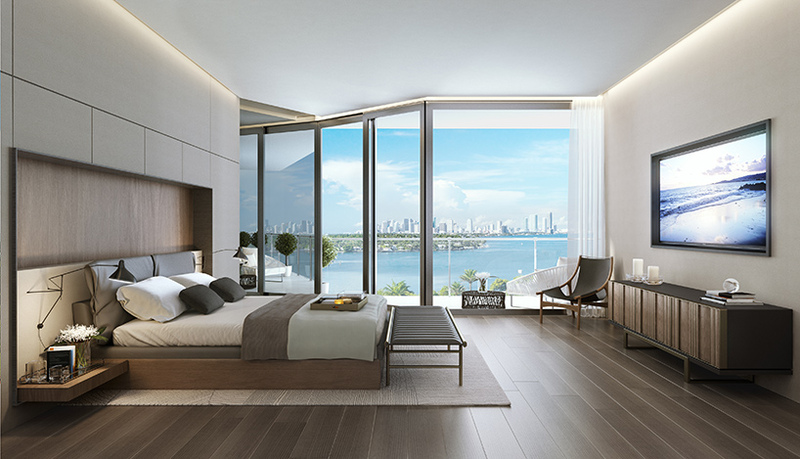 floor-to-ceiling windows lend the scheme a sense of lightness and transparency, highlighting views of the adjacent biscayne bay throughout the day. 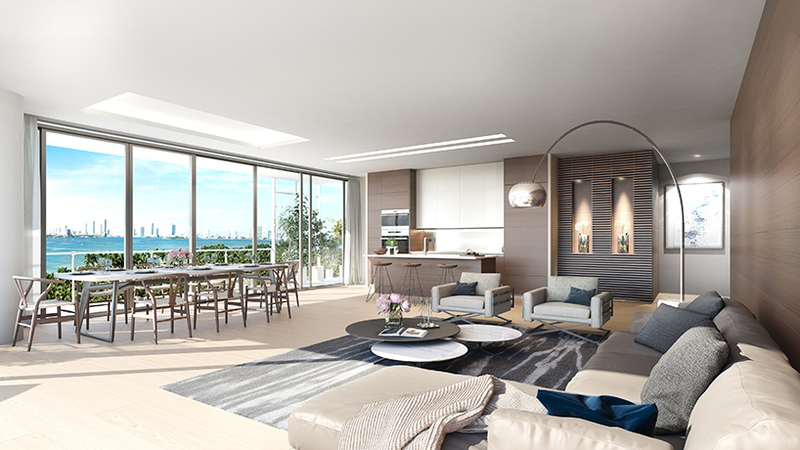 the majority of residences are two-bedroom units, with 6 larger four-bed apartments. 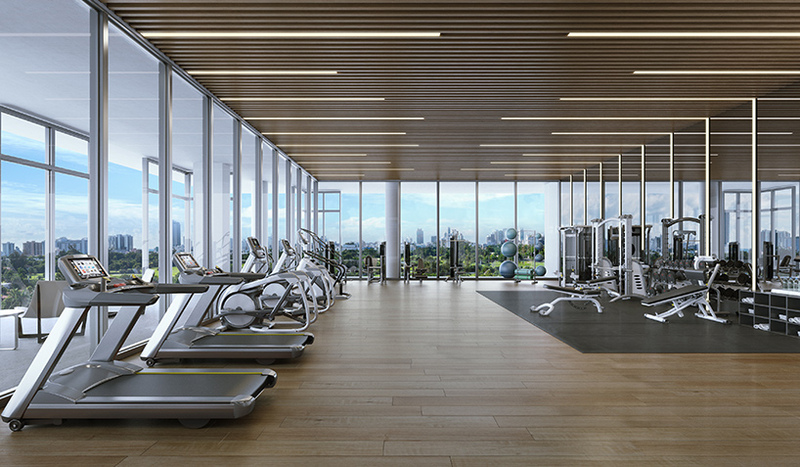 each property boasts 10-foot ceilings, energy efficient windows, and a host of high-end appliances. 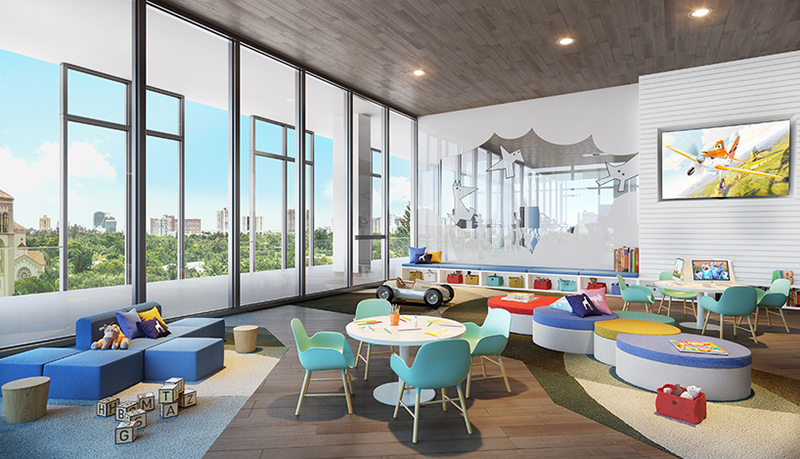 shared amenities include: a kids play room, a business center, a fitness center, and a tesla house car. 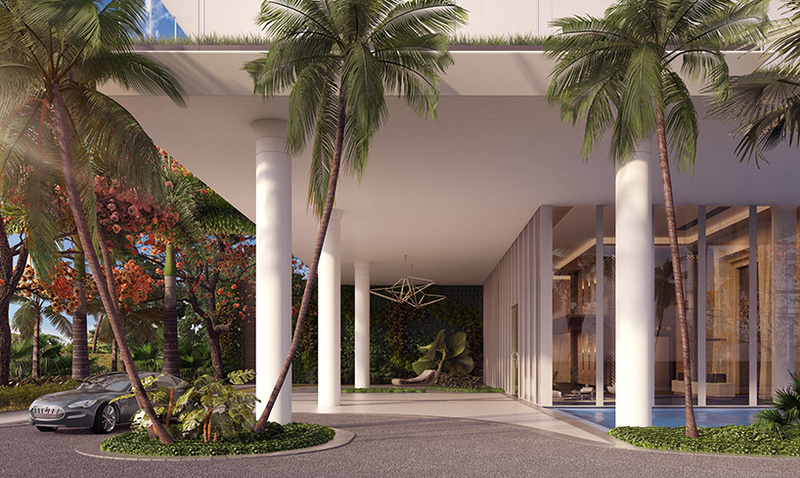 the project is being developed by mast capital, with miami-based naturalficial serving as landscape architects. 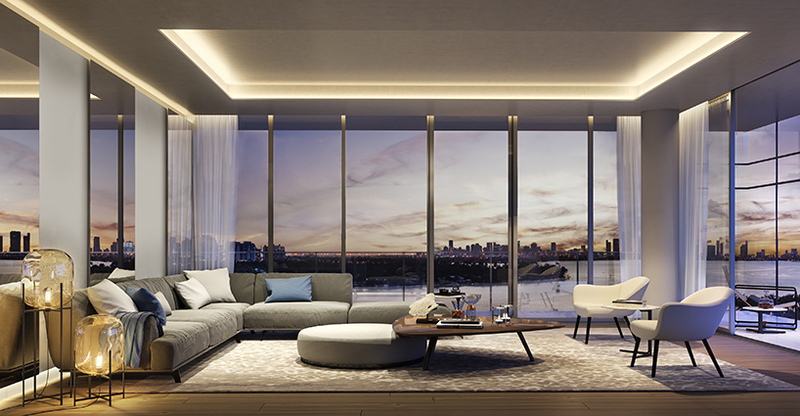 the project also includes the work of artists fernando mastrangelo and loris cecchini. 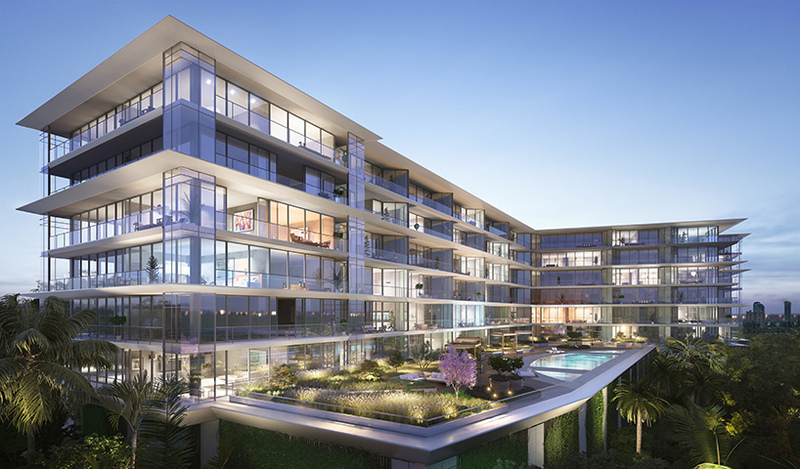 located in close proximity to the miami design district, the faena district, and sunset harbor, ‘3900 alton’ is architect ricardo bofill’s first large-scale condominium project in the united states.